Service Dog Kit Includes Dog Vest,ID Card and Registration Certificate. Complete Kit 129.00 + 12.00 Shipping FREE Embroidery with your dogs name. We Offer dog vests in a large variety of color options. 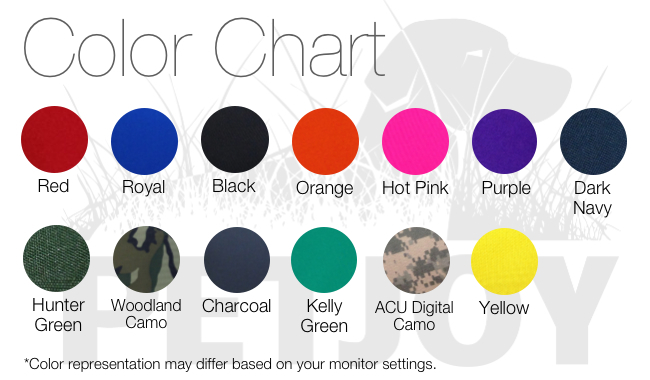 Check out the latest color swatches below. Remember, you can also personalize your service dog vest with your dog’s name .